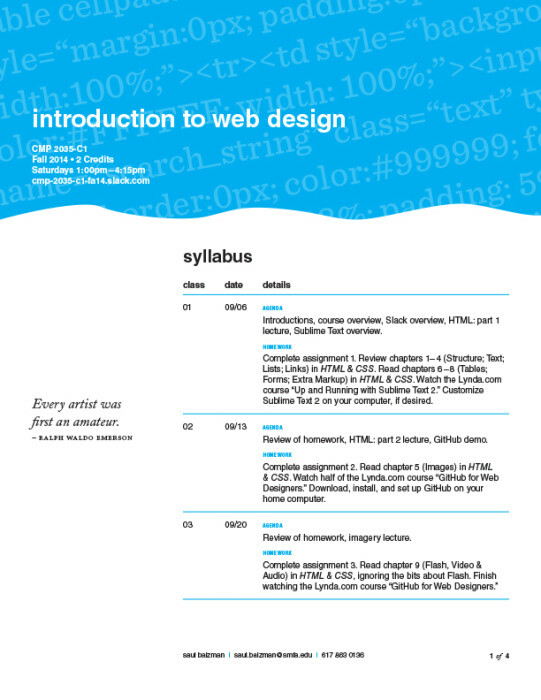 This is the overview of the class. 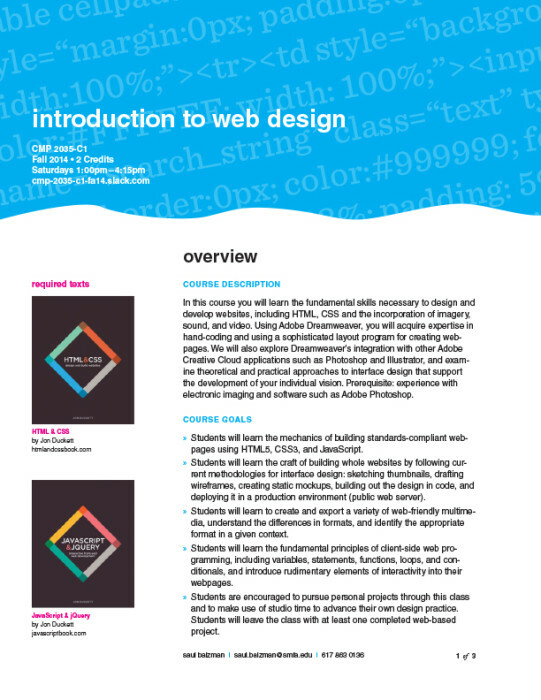 Note: I did not author the course description. 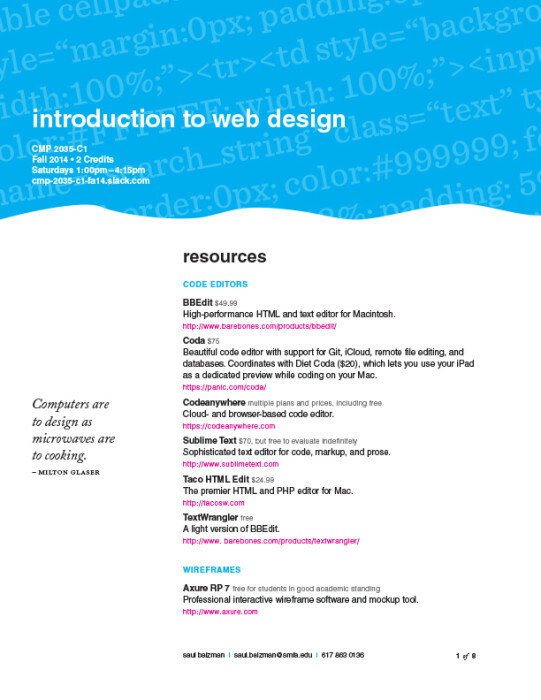 An excerpt from the list of resources. The fifth assignment for the class. 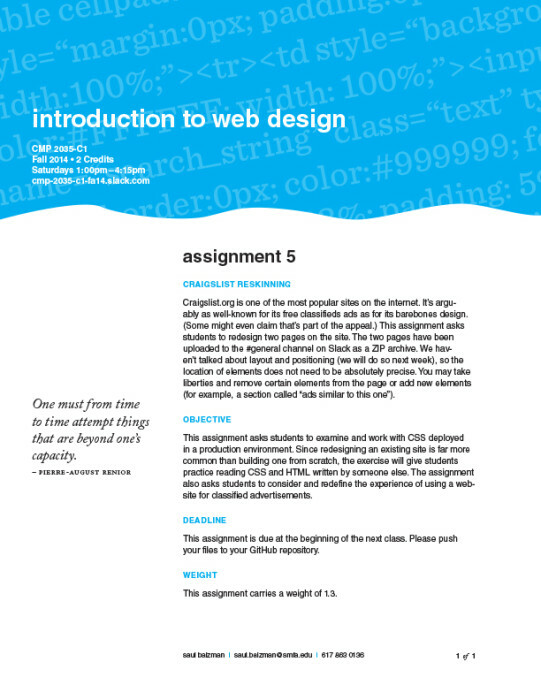 Download a PDF of the final course assignment.